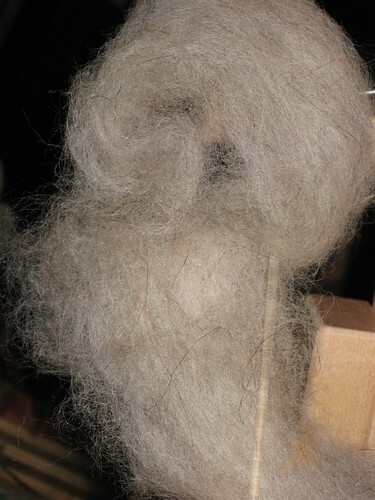 Today I spent part of the day spinning up more of this cashmere fiber I made up. I blended local (from the Fremont Market even!) 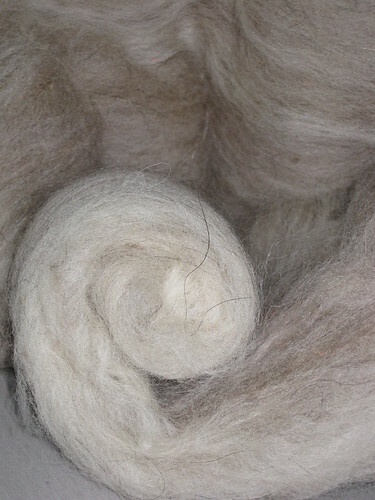 soft brown cashmere with black guard hairs still in it with white wool and a smattering of softly colored naturally dyed wools. I previously spun some of it up for a two ply yarn, filling one bobbin with longdraw spun yarn and another much more worsted prep (and more compacted and tightly spun), plying these two together and then navajo plying the remainder of the one bobbin. For this set I am spinning short draw and rather worsted. 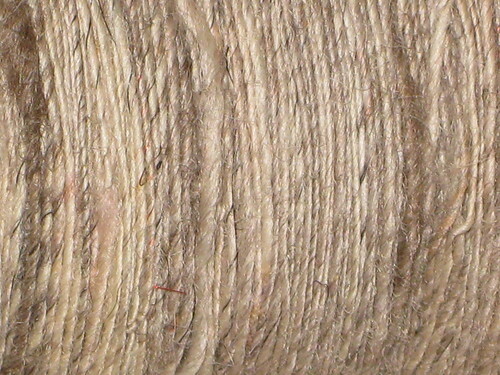 The plan is a two ply yarn, hopefully something that can be used with the other two. I might end up making some of it a three ply (maybe with navajo plying or I might make a third bobbin), haven't decided yet.